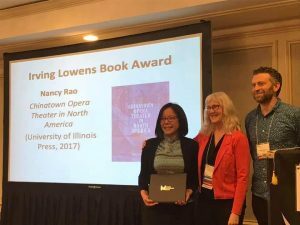 We are pleased to announce that Chinatown Opera Theater in North America by Nancy Yunhwa Rao has won the Irving Lowens Book Award from the Society for American Music (SAM). The award was announced at the annual SAM conference, March 20-24, in New Orleans. The award honors a book judged as the best in the field of American music. 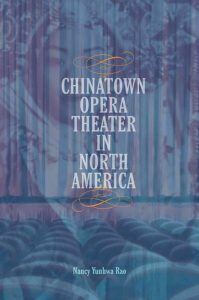 The book has also received the Music in American Culture Award from the American Musicological Society (AMS); a Certificate of Merit for Best Historical Research in Recorded Country, Folk, Roots, or World Music from the Association for Recorded Sound Collections (ARSC); and Outstanding Achievement in Humanities and Cultural Studies: Media, Visual, and Performance Studies, Association for Asian American Studies (AAAS). We’re so proud to have published this incredible work of scholarship. Congratulations Nancy!